RUSH: This morning there was testimony. The new FBI director, Christopher Wray, was grilled by the House, what, Intelligence Committee, House Judiciary Committee? I’m sure which committee it was. 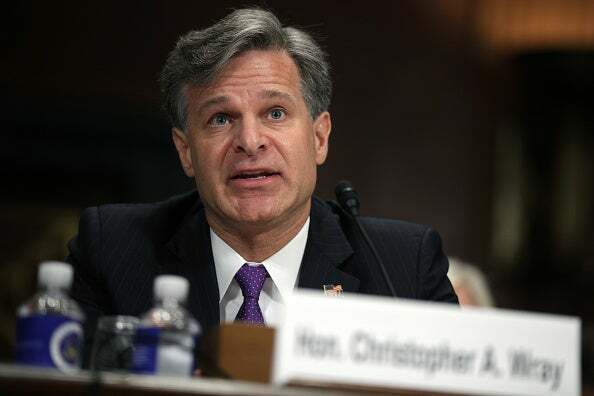 But Christopher Wray is the FBI director appointed by Trump, and he was being grilled by the Democrats today, and even some of the Republicans. Now, this guy is Trump’s head of the FBI. Christopher Wray was appointed by Trump after Comey was fired. And as I’m watching this — look, I know he’s the head of the FBI, and therefore he is the go-to guy now. But grilling this guy kind of missed the point or missed the boat, as far as I’m concerned. Why not grill the people who were running the FBI when it was covering up for Hillary and her role in the email scandal and her role with her husband and Uranium One and the Clinton Foundation and the Trump dossier? These are people that really need to be grilled. 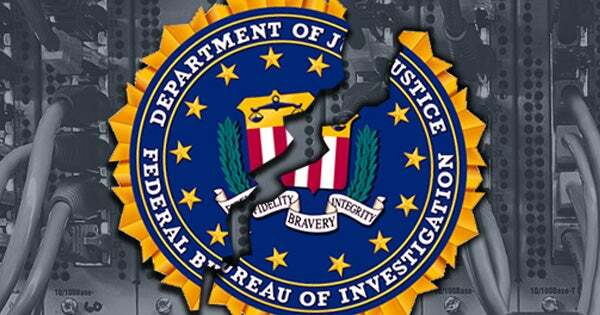 Now, Christopher Wray may be Trump’s guy, but he’s also the head of the FBI, and he’s going to be protective of the FBI’s mission. I guess we should be glad it’s a grilling and not a roast, like the Friars Club roast of Matt Lauer. Anyway, this morning CNN headlined an article on the upcoming testimony by Christopher Wray, “FBI Head Wray Will Testify After Trump Trashed Agency.” I kid you not. I thought it was Comey and his minions McCabe and Peter Strzok and his girlfriend, Lisa Page, who trashed the FBI’s reputation. Trump hasn’t trashed the FBI’s reputation. If anything, Trump’s trying to restore it. It’s all to dump on Trump because Trump is daring to challenge what the FBI is doing. Trump has not trashed the FBI. The FBI and the former people that ran it have done that already, and they’re the people that need to be grilled. So back to this story: “A senior Justice Department official was demoted this week amid an ongoing investigation into his contacts with the opposition research firm responsible for the anti-Trump ‘dossier,’ the department confirmed to Fox News. 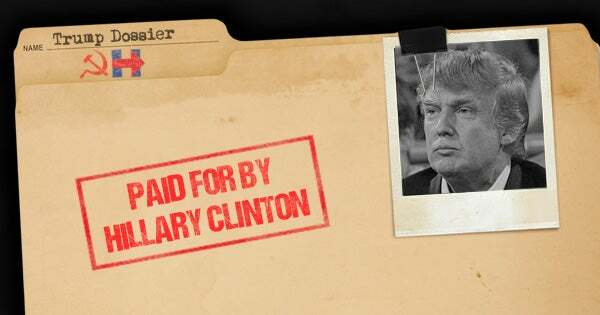 Now, again, the Trump dossier is nothing more than a pack of lies put together by a Dem — Hillary Clinton’s campaign paid for it, and it is essentially a fake document. It’s made to look like serious intelligence. But it’s nothing more than fake opposition research. And this dossier has been incorporated and used by the FBI and the CIA as the foundation for their investigation into Trump colluding with Russia. And it is bogus, it is made up, there isn’t anything in it that’s true. It was commissioned by Hillary Clinton as a campaign aide, which has been converted here into a supposed intelligence document, giving it credibility, giving it a lot of weight. The foundation for essentially this special counsel investigation, and it’s bogus! In that sense, this is one of the greatest political tricks that has ever been perpetrated, because it has led to one of the greatest political scandals ever, and it’s ongoing! This investigation is ongoing. And there are no crimes that can be found, so they’re having to create and invent crimes in the process of the investigation. And these crimes, such as Flynn and the indictments of Manafort, none of this would be happening were it not for a bogus dossier having been written and accepted as legitimate intel by the CIA and the DOJ. And now the special counsel. So, a top Justice Department official has been demoted because it has been learned that this guy — he was there during the Obama administration — this guy was talking to Christopher Steele, who wrote the phony and fake dossier. Now, to me, it’s bombshell. I don’t think this story will even make the Drive-By Media.